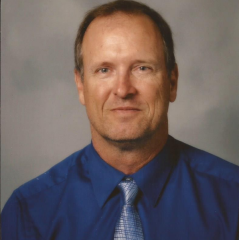 Mr. John Jung retired last May after 36 years of teaching secondary science and math in Arizona; the last 28 years were at Mesa High School. He created the Environmental Science and Advanced Placement Environmental Science programs for both Mesa High and Mesa Public Schools. The North American Association for Environmental Education selected him as their K-12 Educator of the Year in 2017, and he has won two other national awards as well as several state and local awards. Mr. Jung directed the development of Mesa High's "Garden of the B's," a native Sonoran desert educational garden, which has received many grants, recognitions, and accolades. Although Mr. Jung is a new instructor of SOS 110 at ASU, he brings over a decade of experience teaching the high school equivalent of "Sustainable World," AP Environmental Science. He wrote the curriculum for Mesa Public Schools, taught the course since 2007, and as a "Reader" for the actual A.P.E.S. exam, has graded thousands of student essays. Mr. Jung has been married for 35 years to Wendy, and has two sons, Collin age 25, and Kendon age 28 (who works at ASU as a Leadership & Sustainability Student Involvement Coordinator). This family earned six degrees from ASU. Mr. Jung enjoys birding, recumbent bicycling, yoga, cooking, and new experiences.